The act of casting a dog simply means sending your dog in the direction of your choice when he is at a distance from you. And in this article you’ll find links to the various resources that will help you train your gundog and achieve a great response to all your casting cues. 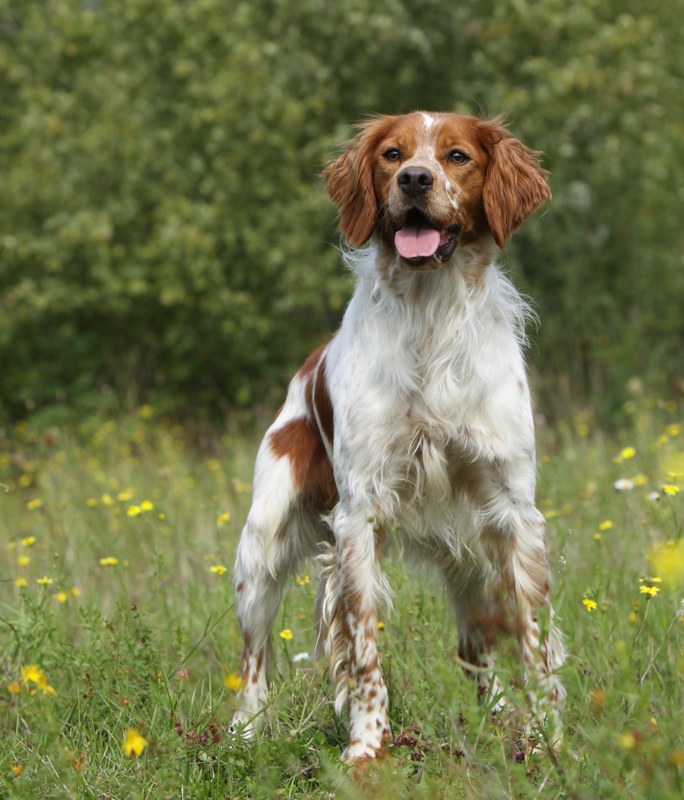 To have some basic control over where a gundog travels, there are four different directional casts that we need our gun dogs to recognise and obey. The back cast tells the dog to travel away from the handler, in the direction that the handler is facing. This enables us to increase the distance between dog and handler. [wp_ad_camp_1]This enables you to bring the dog towards you when he has overshot the retrieve as well as being a means of ensuring that your dog will return to you whenever you need him to. The standard cue for a back cast varies. In the USA it tends to be a raised arm. In the UK it was traditionally a raised arm accompanied by a forward movement of the arm or hand, to differentiate it from the stop cue. I just use the raised arm nowadays, USA style, as I don’t use a raised arm as a stop cue any more. Having a dog that move away from you is all very well, but sometimes we’ll want to move the dog to our left or right. And this is what the left and right hand casts are for. Most gundogs have a very intuitive understanding of left and right signals and need very little help with them. Dogs often prefer to travel left and right rather than away, and for this reason it is a good idea not to practice lefts and rights for a while, when you first introduce the back cast. The fourth and most important cast, is the recall. If you can do nothing else with your dog, you need to be able to bring him towards you! When we use the recall as a cast, just to bring the dog towards us a little, rather than all the way home, we often use a softer, more ‘muted’ version of the recall signal. Recall training is an area where a lot of people struggle and you’ll find lots of resources to help you with this on my Labrador Site in the Recall Training Centre. Casting needs to be taught at close quarters and broken down into easy stages. You need to ensure that the dog is well motivated, and well reinforced for the right behaviours. And that he is never reinforced travelling in the wrong direction! You also need to proof your training carefully especially when it comes to increasing both the distance between the dog and the retrieve, and the distance between you and the dog. Remember that dogs need to be motivated in order to learn. This means using rewards for making the correct response for each cast. Traditionally in gundog training, the reward is the retrieve, and if your dog is a very keen retriever, this is all the motivation he will need. More recently gundog trainers have been experimenting with place boards for teaching casting. This is a useful development, especially for moderately keen retrievers or dogs with lower retrieve drive. With anything less than the keenest of retrievers, placeboards enable you to practice casting much more often than you could using retrieves as a reward. With place board training you can use food as your reinforcer. The most important point you need to remember when training casting with retrieves, is that the dog must never get a dummy in his mouth if he goes the wrong way. The retrieve is the reward for responding correctly to your casting cue, and the incorrect response must never be reinforced. To achieve this you need to limit the dogs options. In some circumstances you may be able to restrict the directions available to the dog, for example,running him left and right along a fence or hedge. If you know for certain that you can stop your dog en route to the wrong dummy using a ‘NO’ then by all means do this. But in many cases the only way to be certain of preventing accidental reinforcement is to use a long line or training lead on the dog, until he has learnt the cues thoroughly. Don’t forget, a long line should be attached to a harness to ensure the dog’s neck is not damaged. What about the stop whistle? Even if you have reached the point of having achieved a reliable response to the stop whistle, it is not appropriate to use the stop whistle if your dog makes a mistake in these training exercises. You’ll be putting casting and stop whistle together once your casting is in good shape. You don’t want to try teaching two new concepts together at this point. Get your casting right first. All these casts need to be proofed so that the dog will obey them even if there are obstacles in his way, such as fences, ditches. Or distractions around him. But don’t be tempted to introduce too much difficulty, too soon. Give the dog plenty of chance to become really proficient at all four casts at close quarters, adding distance and difficulty slowly but surely. Most people teach the recall first, simply because it is such an important cue for any dog to learn. I like to get the back cast really well established next, before teaching rights and lefts, simply because dogs find it harder to grasp. You can do this in reverse order if you wish, provided you stop practising rights and lefts whilst you do so.